Kannikkatt Group started business in 1962 at Thodupuzha, Kerala, India as a provider of support services and systems for farms and plantations. (ie. fertilizers, tools, machineries etc.). 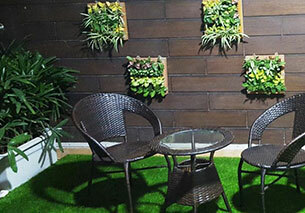 In 2008, Agricom was started by the third generation of Kannikkatt Group with a very innovative and unique concept of interior designing by using verities of indoor plants, imported pots, machineries, fertilizers, etc. Our basic concept is to focus on the art and science of enhancing the interiors, including the exterior, of a space or building, to achieve a healthier and more aesthetically pleasing environment by using live, preserved and different varieties of indoor plants from all over the world for our clients. Agricom acts as a designer someone who plans, researches, coordinates, and manages such projects. 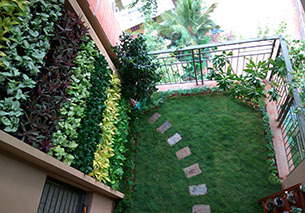 Our concentration is on conceptual development, space planning, site inspections and research, communicating with the customers, construction management, and execution of the design which includes interiors, exteriors and spaces like lawns, vertical gardens etc. 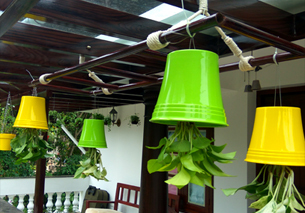 Our concept is of shaping the experience of interior and exterior by using verities of imported pots in different shapes, sizes & colors and also by providing end to end support systems and amenities required for making or creating a beautiful farm or garden. We also sell through our website farmandgarden.in. We are one among the best Seller in Amazon, which is one of the prevalent online shopping websites in the world. Our expertise comes from our collective experience from customers across all over the world. Our innovative creative expressions have been featured on some of the most prestigious electronic medias and publications. We are eager to try new things and to repeat well-proven successes. We love what we do and love sharing our knowledge capital with like-minded thinkers, doers and innovators.